My favorite part about attending shows like The Makeup Show is discovering new-to-me brands and introducing me to some of my favorite products. One of these brands is Danessa Myricks Beauty, created by the stunningly beautiful makeup artist herself. With someone that works in the industry, you know they are going to be releasing quality products that apply well and look amazing! 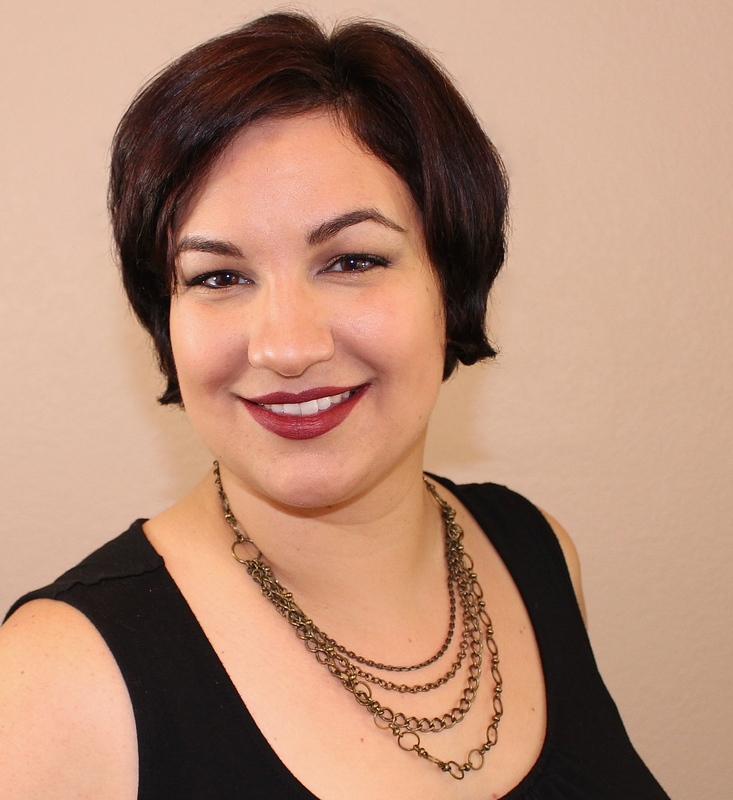 I had the opportunity to try out two of Danessa's products, and I am eager to share them with you today. Let's jump on in! One of the products I got to play with was the Waterproof Cushion Color in the shade Pretty Pumpkin. 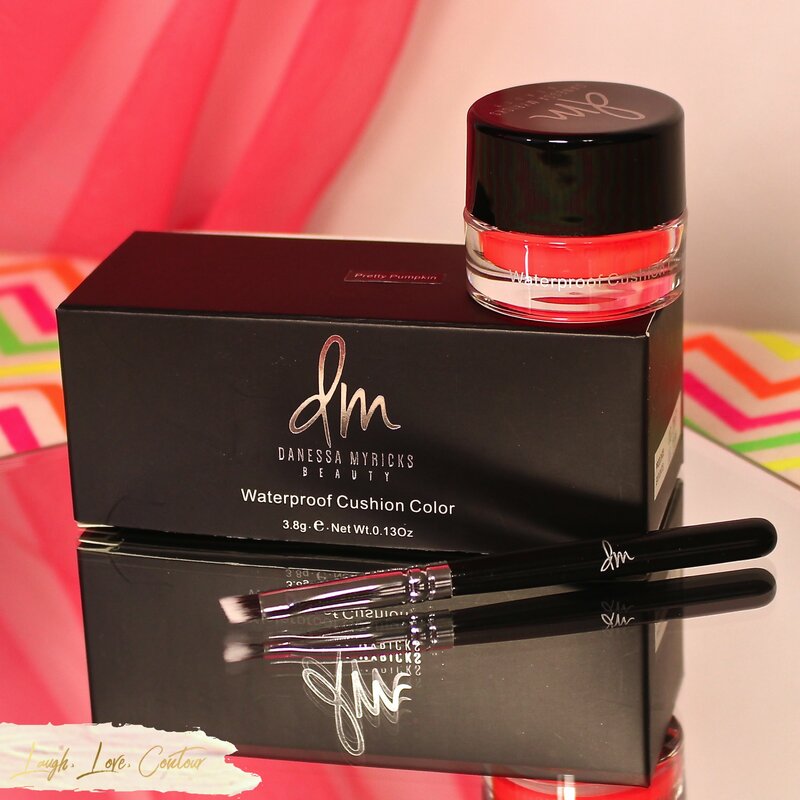 This dynamic liquid color was designed so the artist could create beautiful technicolour eyeliner looks in addition to using it on other parts of the face and body. The Waterproof Cushion Color comes with the pot of colour in your selected shade and a small angle brush for application. As the name implies, this pot contains a little sponge-like "cushion" that has been soaked in colour. Because Pretty Pumpkin is such a bright shade, it freaked out my camera and photographed more of a coral red here. 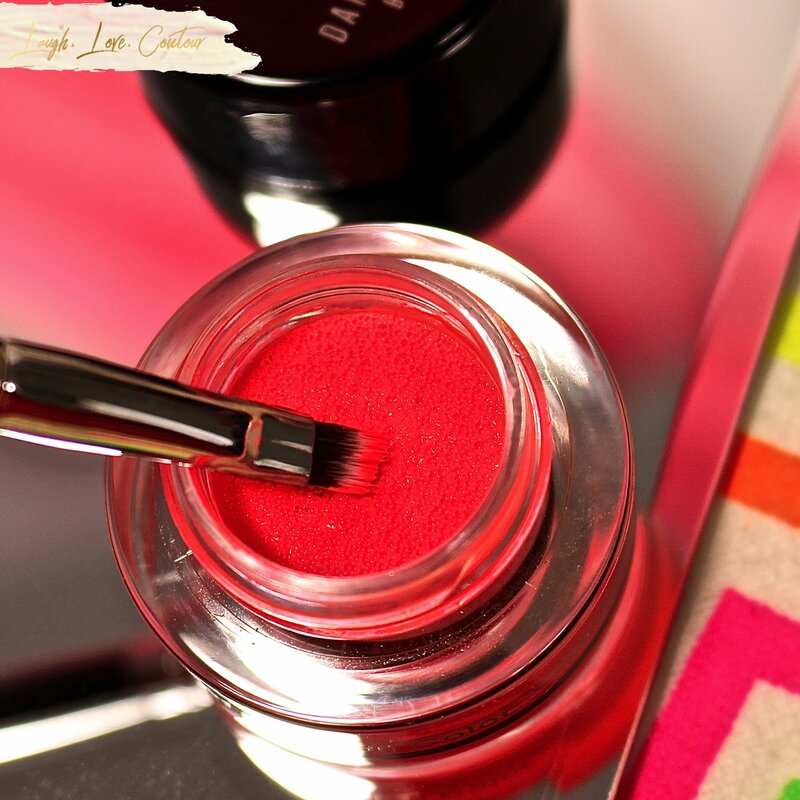 Pretty Pumpkin is a bright red-leaning orange shade that screams summer. Waterproof and long-wearing, this dries quickly to a matte immovable finish. Here is my current go-to look with this fantastic product! The Waterproof Cushion Color applies easily and dries quickly. With a single application, the thicker part of my wings was a little patchy, but after it dried, I was able to go over the thin spots a second time to fill in the colour. While this product is waterproof, it is NOT oil proof. My hooded eyelids get really oily so I do have to stay on top of blotting away excess oil if I want the cushion colour to stay in place. This is by no means a deal breaker for me, but I do have to be prepared with blotting papers when I leave the house for the day. 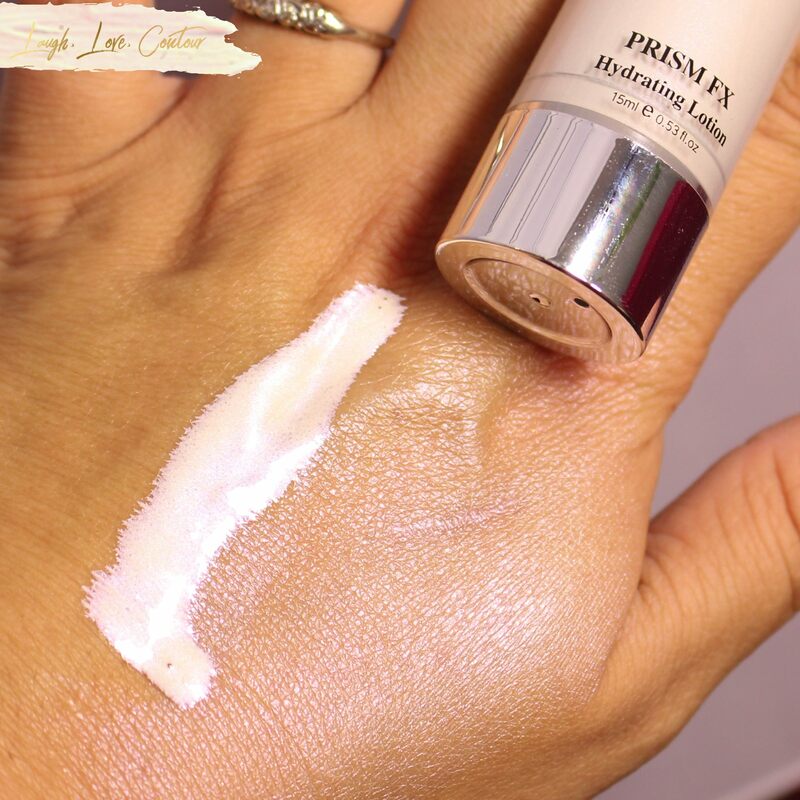 The other product I got to try out was the Prism FX Hydrating Lotion. 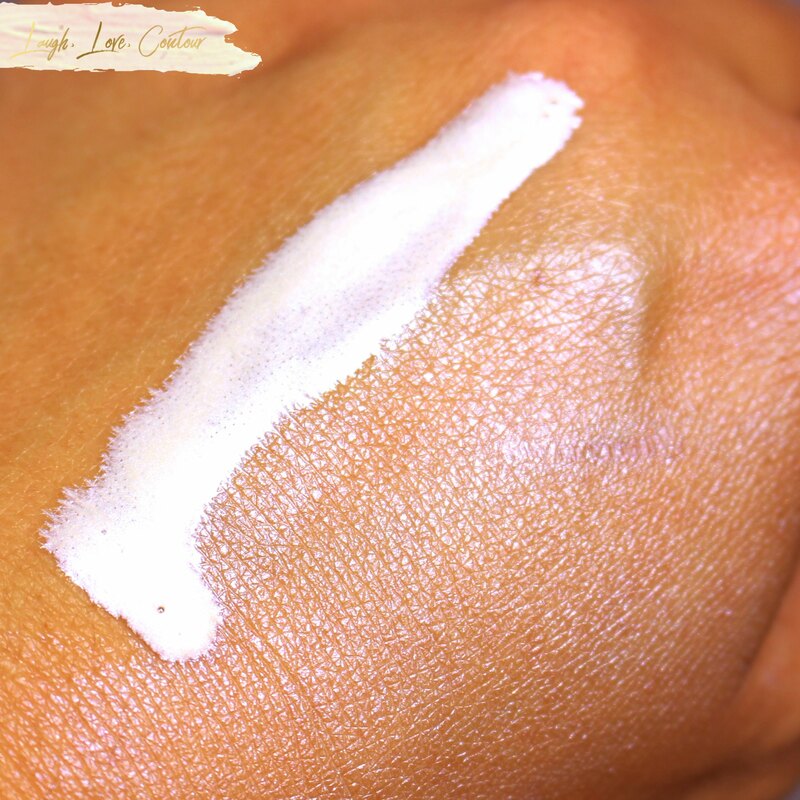 As the name implies, this product hydrates your skin while leaving behind a luminous glow. As you can hopefully tell with this photo, a little of this lotion goes a long way. Once blended into the skin, the result is a slight pink-hued flash with lots of fine pink shimmer particles. It can be used on your skin underneath your makeup, or you can easily mix it in with your foundations to give your skin some serious glow. With my combination skin (oily in the T-zone), I don't need to add any extra glow to my overall makeup look and opted to not mix this in with my foundation. Instead, I used a very thin layer under my makeup. While wearing it underneath my makeup is much more subtle, it does add a little extra dimension that is otherwise not quite there. That being said, my preferred way to use this product is with strategic placement on my shoulders and cleavage with the extra skin exposure that comes with hot summer months. Only one shade available, best suited towards Fair Neutral skin tones. 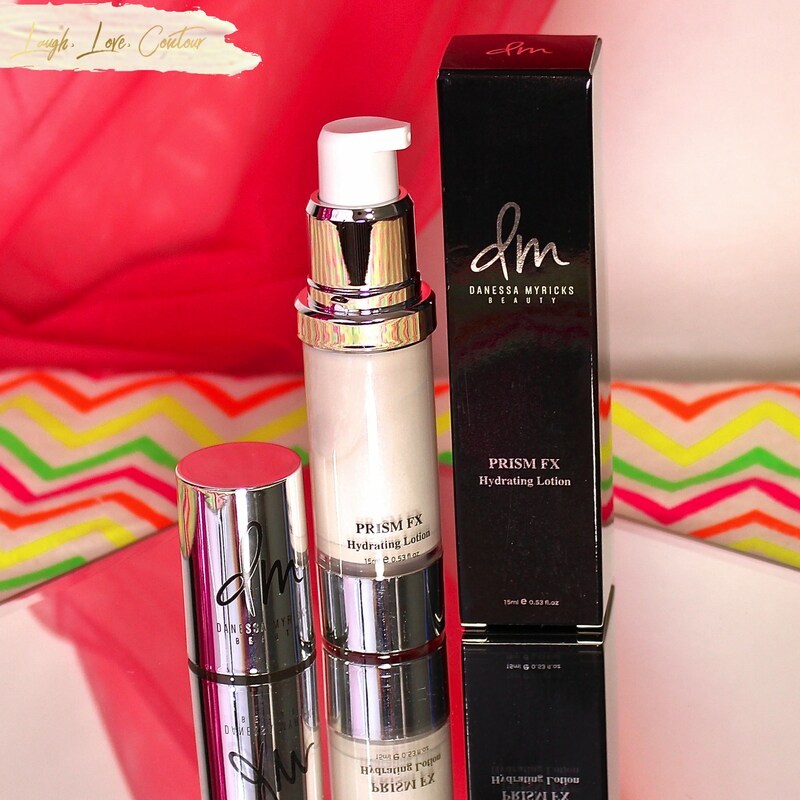 I have really enjoyed testing out these products by Danessa Myricks Beauty! Between these two products, my favorite is the Waterproof Cushion Color, but then I have a certain weakness for orange shades. With my oily hoods, I cannot get eyeliner to stay put no matter what brands I use or tips I try, but this stayed better than any other product I have used. I definitely need to pick up some of the other shades! The Prism FX is pretty, although it is more limiting with who can wear it well. My skin falls in the darker side of fair/lighter side of medium spectrum depending on where individual brand cutoff falls (and how much I end up tanning) so I could almost pull it off, but my warm olive undertones make it a less than flattering option for me. If you are looking for a similar type product from the Danessa Myricks Beauty brand, check out Illuminating Veil. While the Illuminating Veil doesn't necessarily come with the extra hydrating properties as the Prism FX, it does add a beautiful glow and comes in 8 shades to choose from. 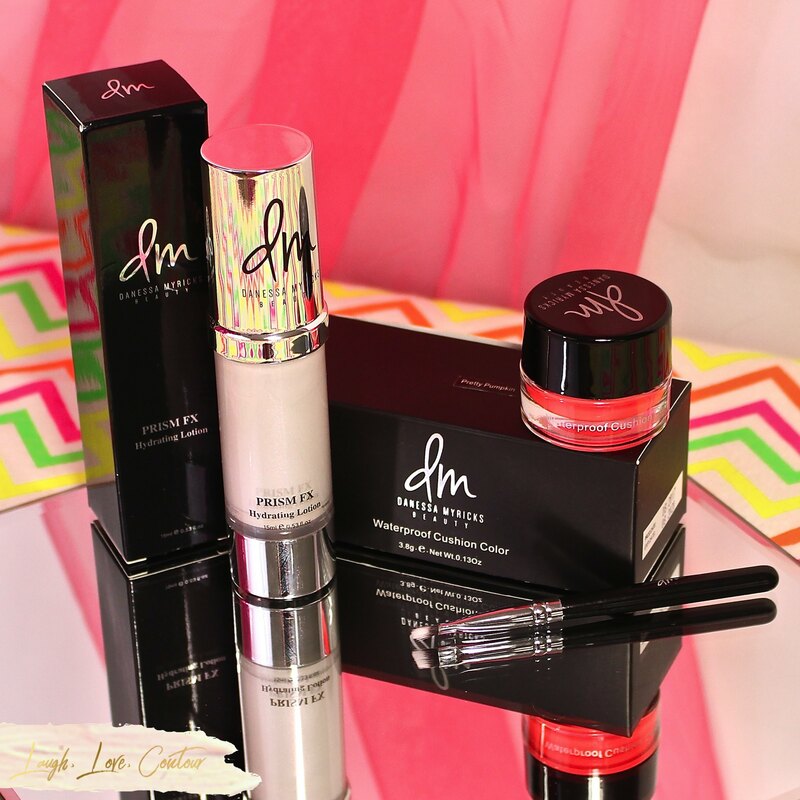 Have you tried any products from Danessa Myricks Beauty? Please let me know what I should try out next! Wow! That eyeliner looks amazing! 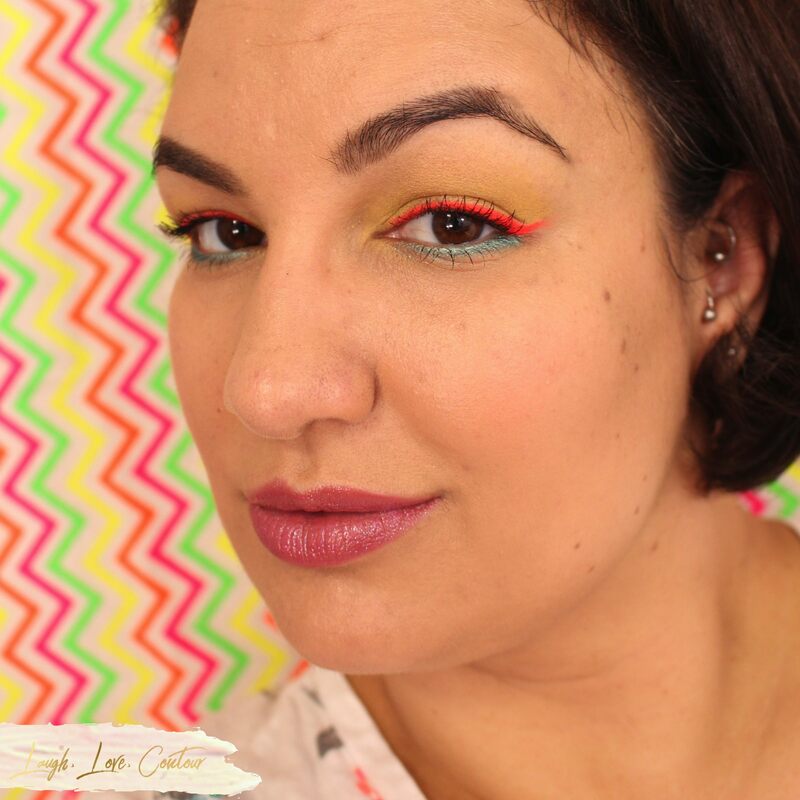 So bright and pigmented! Holy cow! Pretty Pumpkin is amazing!!! I love the color combo too!!! The liner is a showstopper. 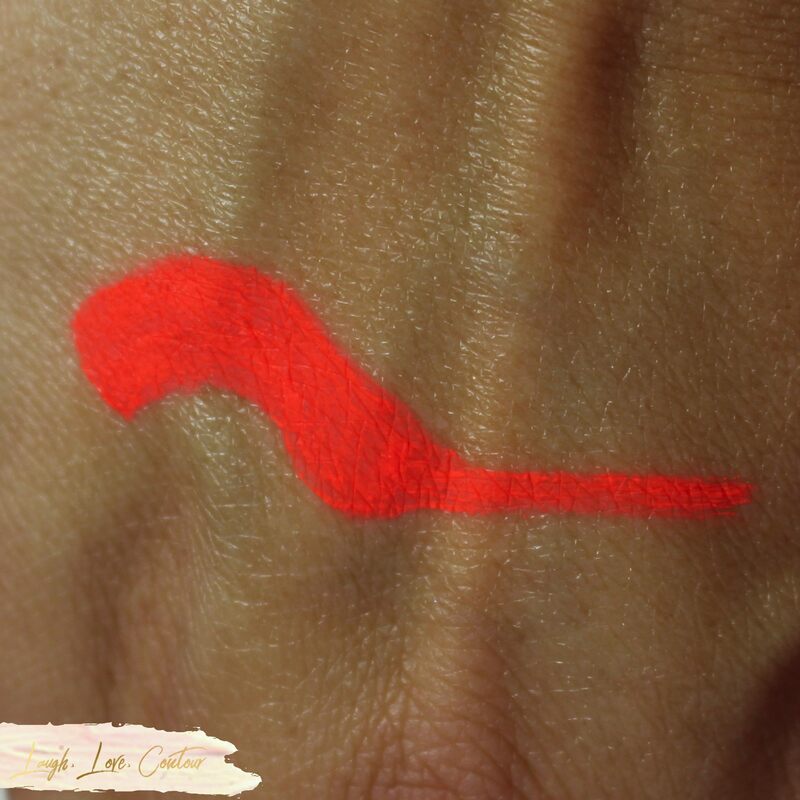 That color is for the brave souls who love colorful makeup. 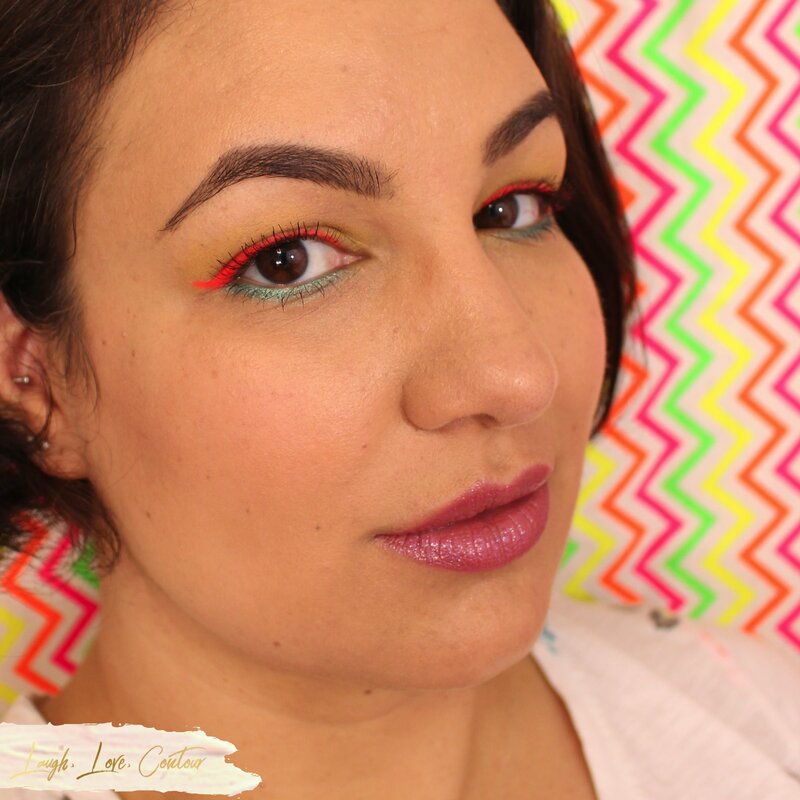 You are rocking that orange liner! What an incredible eyeliner! That's so pigmented! Whoa I’ve never seen eyeshadow liner like that. So cool! 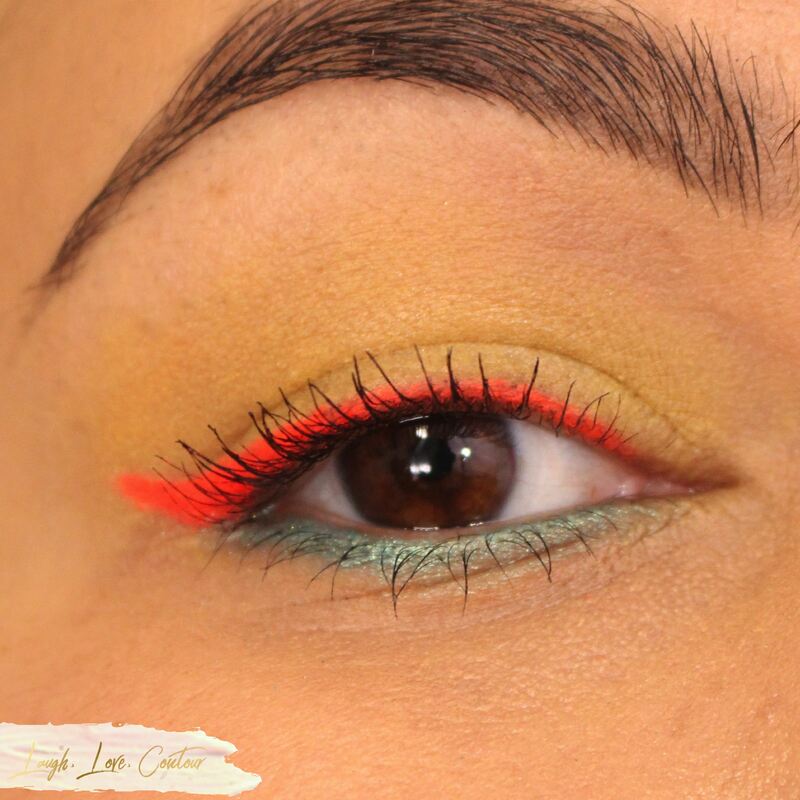 That liner really packs a punch when it comes to brightness. That is a very bright coral, but you are pilling it off like it's no big deal!